The eclectic nomad that she is, Victoria Clemens has infused various types of performance and kinetic styles into her lifetime of dance. As a child, classes in ballet, jazz, and acting prepared Victoria with the mechanics behind motion and developed her stage presence. Her introduction to Belly Dance came after watching a live performance of Aladdin in 2005, in which immediately after she bought belly dancing videos and signed up for an introductory course with Arikah. Since then Victoria has moved from place to place; temporarily her residence in Chicago had her practicing with the American Tribal Style® (ATS®) Blue Cat Tribe and her travels with the AmeriCorps NCCC had her moving along the east coast, which exposed her to a variety of different cultures that influenced her dance form. Currently, upon return to Decatur, Victoria is a member to Ees'aBella Belly Dance and has gained experience with the level 1 movements of BlackSheep BellyDance (BSBD). On her own, Victoria loves to fuse the movements she's learned through ATS® and BSBD practices with movements in ballet, jazz, and hip hop - especially to glitch hop or dubstep music, inspired by Arikah Peacock. She is also interested in enhancing her skill of sword dancing and zilling. Outside of belly dance Victoria also studies yoga, psychology, and anatomy/physiology. She is attending the University of Wisconsin - Madison in the fall of 2012, where she hopes that her past experiences with dance and yoga coupled with an understanding of brain functioning can enhance her awareness of brain-body connection. Any knowledge she gains will be applicable to enhancing her art form and to teach/provide therapy to others down the road. Erin Ireland started stage performance with B.O.S.S. as a child and continued to dance through Show Choirs in middle school and through high school. 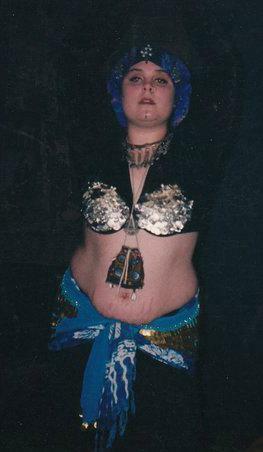 Introduced to belly dance in 1998 by Arikah Peacock. Soon after a tribe was born called Jah's Gypsies which is now EBBD. From there the love of belly dance began. Erin now spends her time with her children and her husband battling RA ,an autoimmune disease of the joints. Although her dancing days are over, the love for the dance still remains the same. "Belly dance made me confident to show my beautiful belly to the world! It made me have a sense of a true bond and friendship through dance with many awesome and talented women. It made me connect to my body spiritually, mentally and physically and that is more beautiful than anything." 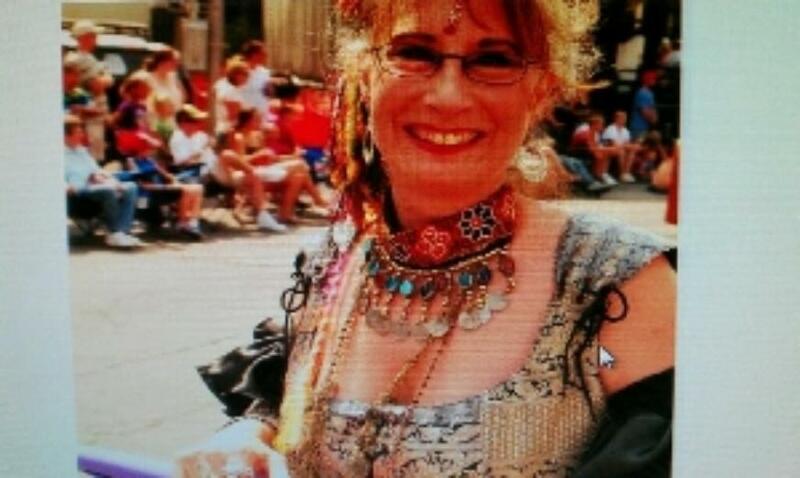 Karrie has been dancing for over 3 decades, growing up with her mother BellyDancing. Karrie has been raised in dance since she was 8. Her mother started teaching her Hawaiian and Classical Egyptian Dance. She picked up dance with Nadia Alooma and has danced with the Tik Va Naam dancers since 1995. When Nadia Alooma retired she let Karrie carry on the troupe name of Tik Va Naam which means expect a surprise. Karrie has performed in many shows in Chicago, Indianapolis, and St. Louis. She has also performed at the Illinois State Fair and the Ethnic fair in Springfield Il with Tik Va Naam. She Has also danced with Gypsy Hips in the Ren Faire and the Arts Festival in Champaign, IL. She has been hired for birthdays, anniversaries and retirement parties. Karrie has taught group lessons and individual classes. Karrie says one of the most favorite things about dance is when she hears music her soul starts to come alive. She is also an Ees'aBella BellyDance alumni member. Karrie offers classes in her Champaign-Urbana, IL dance community. Find her on FB! AGNES VANTROPPOTTE, ESTHER WHITE, JAN TAYLOR, ELLEN KAU, TASHA SMEGAL, KRIS RUEBLING, LAURA PECK, EMILY BRADEN (deceased), BRYNN KICKLE, LIZZIE MERRIL, and HEATHER WRIGLEY.